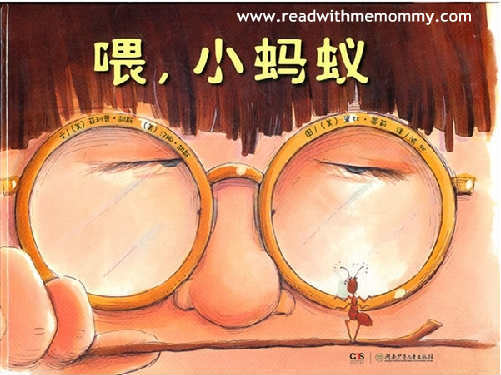 Hey, Little Ant is an English original, written by Philip and Hannah Hoose, and illustrated by Debbie Tilley in 1998.This is the Chinese translated version. 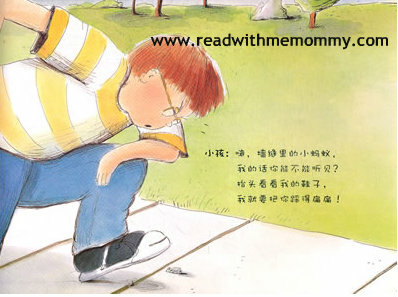 There is a boy who likes to go around squishing little ants. One day, just when he is about to start his nasty act, the little ant talks back. 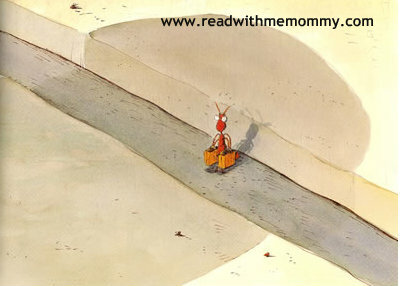 The ant persuades the boy not to squish her... Like the boy, she too has a home and a family, with elderly and young children. She too can feel pain and fear. 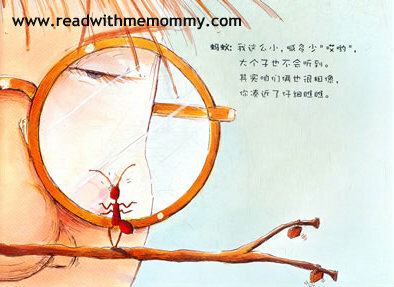 After a few rounds of discussion, the author ends the story with an open question - "Should the ant be freed or squish to death? We'll leave the decision to the boy". This book is a rare find. Parents can use this book to teach their kids not to kill living animals mercilessly - a topic is that is best introduced to children at a tender age. It is written from the perspective of helpless living creatures who may be at the receiving end of nasty, cruel acts by young children. This book is an excellent resource to teach kids about compassion and love for living creatures/ animals around us, and great for character building. This book is in hard cover. Simplified chinese. There are no hanyu pinyin. 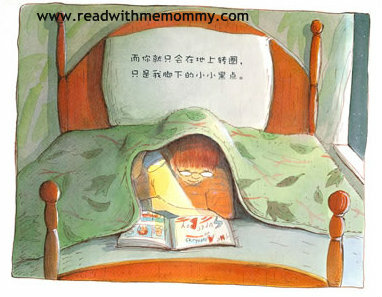 For reading to the child, this book may suit children of 4 years old and above. For self read, we would recommend this book for children above 7.